Get Instant Discount up to 50% Off on Acer Chromebook CB3-111 Charger. This Acer Power adapter works with Specifications of 19V 3.42A 65W and Connector size 5.5mm 1.7mm. UK Laptop Charger supplies free cable, free shipping, free exchange with one year warranty in Online. Call Now +01214680058 for an extra discount. Best price Online Store for Acer Chromebook Chargers in the UK. This Acer Chromebook CB3-111 Charger is 100% compatible with Specifications of 19V 3.42A 65W and Connector size 5.5mm 1.7mm. 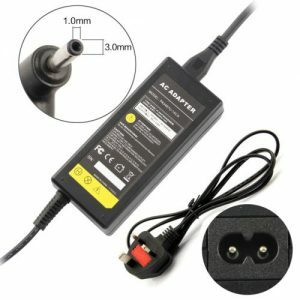 UK Laptop Charger exclusively sells all type of Laptop Chargers, Adapters, Power supplies which perform same as Genuine Acer Adapters at half price in the UK. Visit Today to avail great deals like Free Power Cable, Free Exchange, 50% Off, 30 Days refund. Click here for Live Chat Support. Delivery – 100% same day dispatch with Next day delivery Options available. Payments – Paypal, all Credit & debit cards avaiable. Refunds & Exchange – 14 days Free Exchange & Free Refund Policy.